This magnificant, bestselling reference book finally leaves its old look to join the modern Penguin subject dictionary series. Why exactly did Van Gogh cut off his ear? Was Warhol an original or just a copyist? 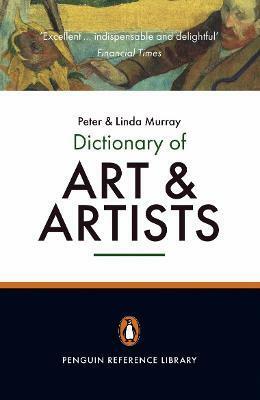 The answers to all this and more are found in The Penguin Dictionary of Art and Artists, the essential guide to over 700 years of creative endeavour. Each entry features extensive cross-referencing and listings of galleries where the artist's work can be seen. Edition Statement 7th Seventh Edition, Revised ed. Peter and Linda Murray married in 1947, having both attended the Courtauld Institute. They have written extensively in this field, both together and separately. Many of their titles are available in Penguin. Peter Murray died in 1992 but his legacy remains in reprints, reissues and translations around the globe.